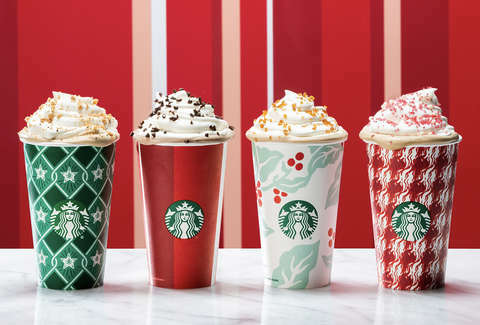 Today, December 20th, starting at 3PM, head into your local Starbucks where you can get any Grande Holiday Beverage for only $3! You can choose hot, iced, blended or a creme version (when available) in select holiday flavors. This offer excludes hot and iced brewed coffee, ready-to-drink beverages and Starbucks Reserve beverages and cannot be combined with any other offers. This is valid for one time only. This offer is part of the Starbucks Happy Hour Event. To grab this special discount, check your Starbucks app and/or your Inbox or head here and sign up to receive a promo code which you can then show the barista on your smartphone. You’ll also be notified about future events like this and exclusive deals on drinks and food.